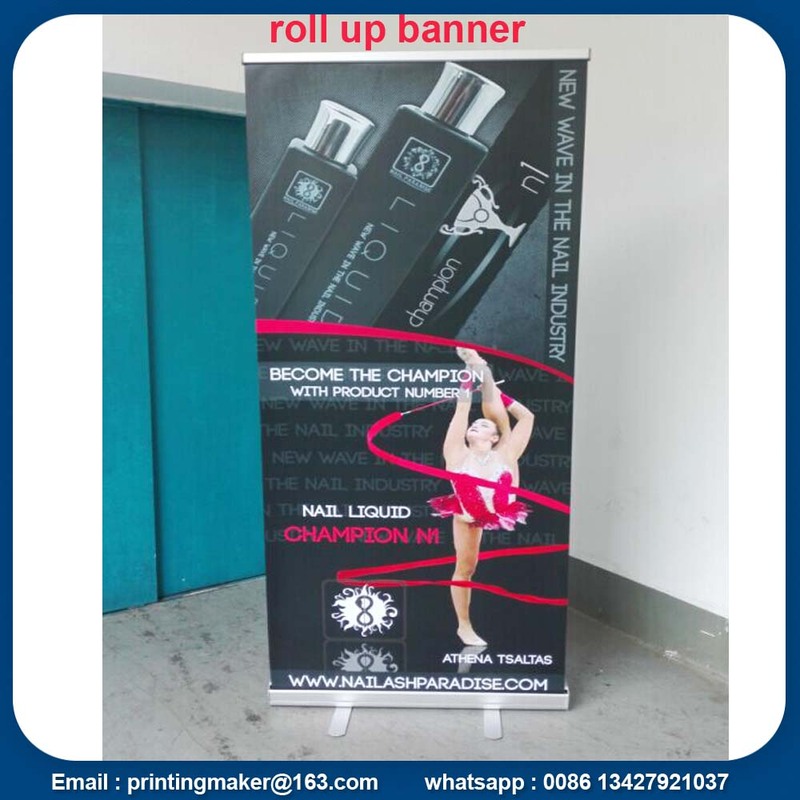 Our full aluminum roller stand with pp banner printed .The banner size is 85x200 cm . The gross weight for the stand is 2.3 kg. 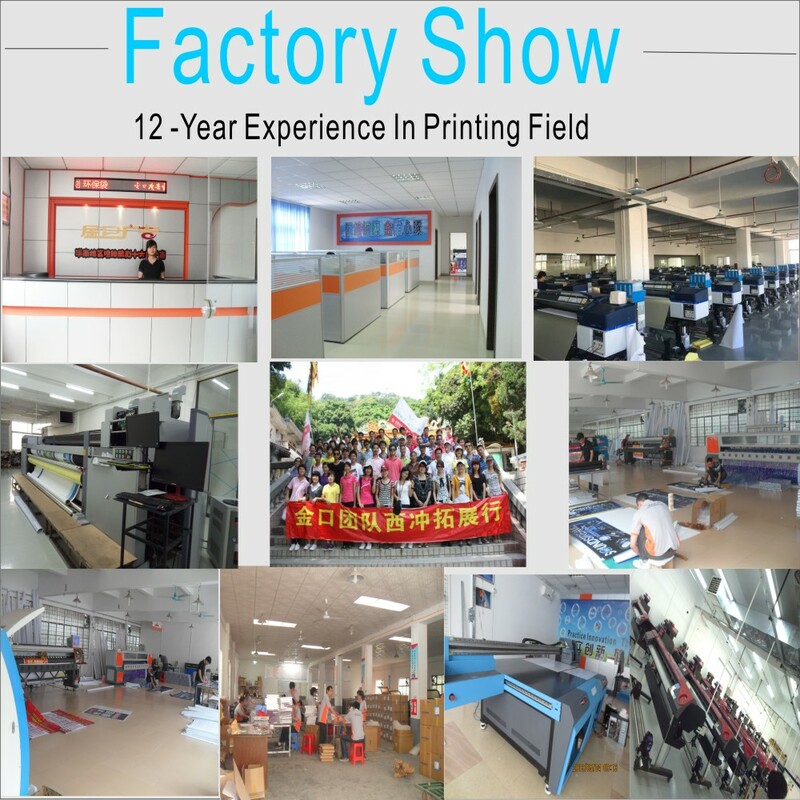 The lamination is matte lamination to protect the printed graphic. 1440 DPI printed resolution with our HP solvent printers. 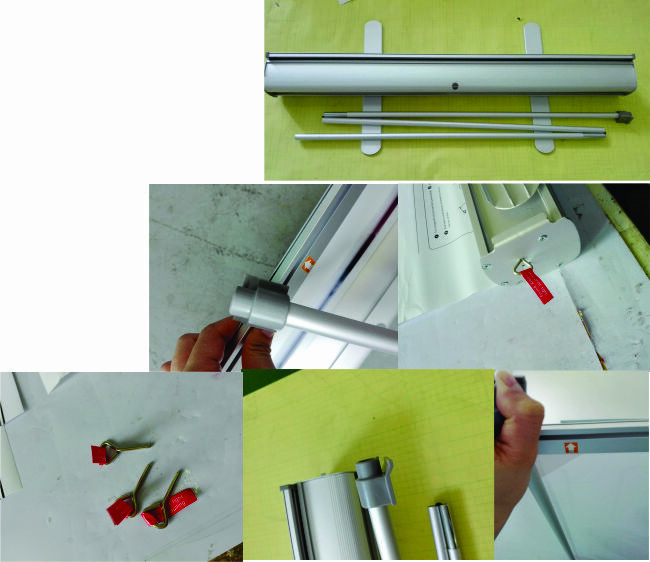 We have instruction in each our stand base , it is very easy to assemble new banner into the base. 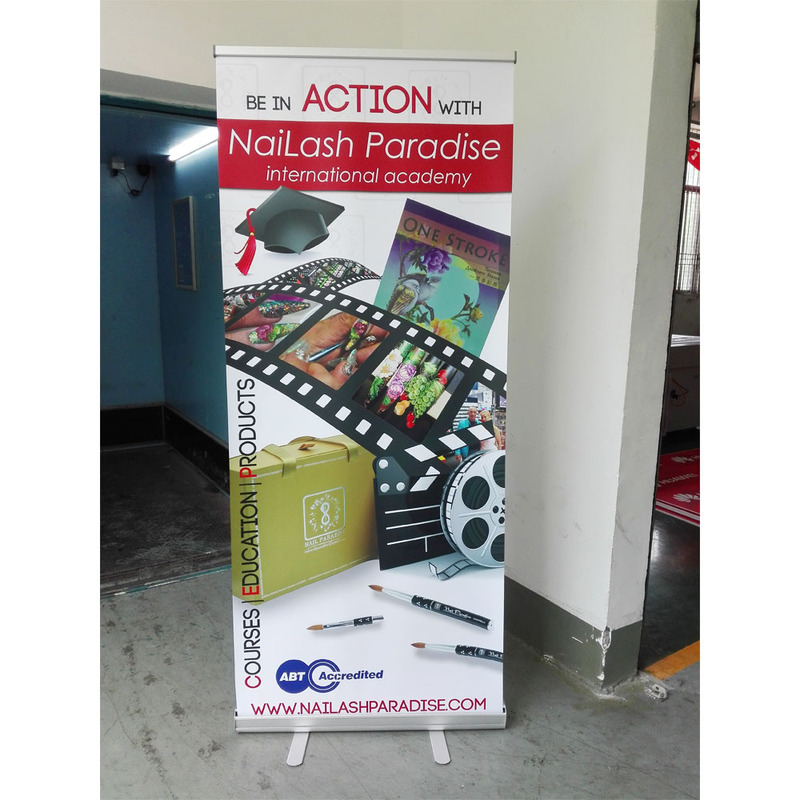 For next order, you just need to place the order with banners without roll up stand . 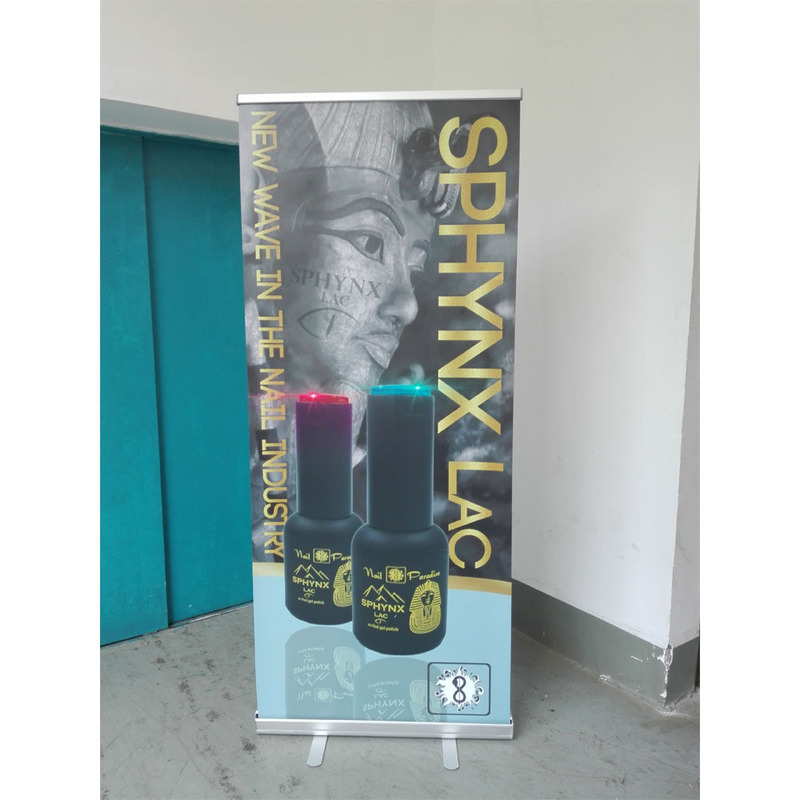 The approximate cost is USD23 per set including printed banner and stand , for the final price ,it is based on your quantity. 1. What is the Min Order with customized size ? 2. What is the lead time for sample ? 3. What is the lead time for 10 pcs including delivery time ? ----- normally 7 - 10 work days . 4. How to send the large files ? 5. How to place the order ? Payment term : 30 % deposit and balance against shipment with Paypal , Bank Transfer / Western Union or Money Gram or L / C .
We will send the proof of the artwork for approval and will update the bulk production pictures . 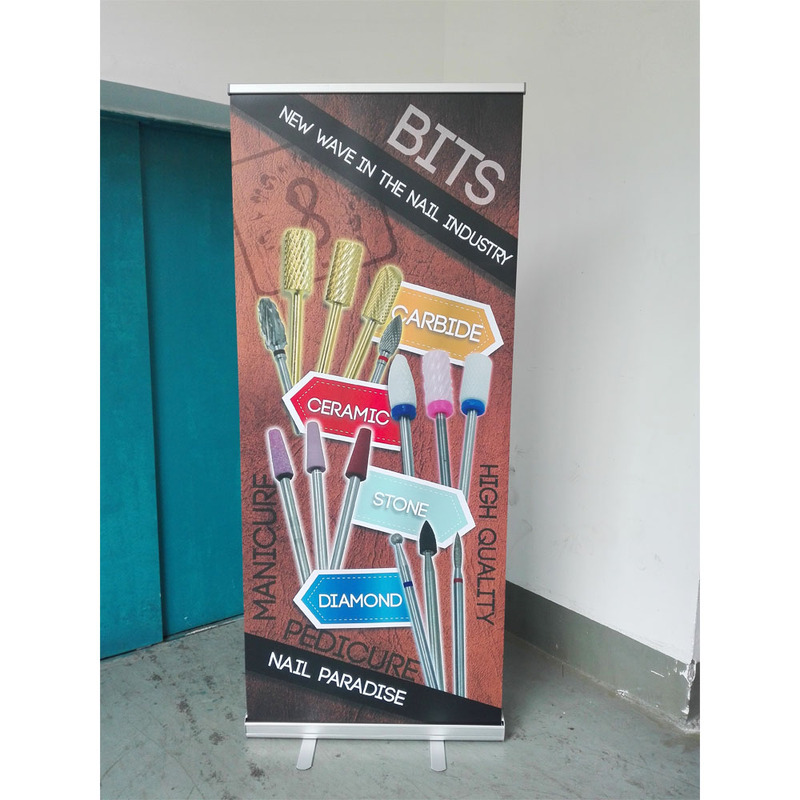 Looking for ideal Roll Up Banner Printing Manufacturer & supplier ? We have a wide selection at great prices to help you get creative. 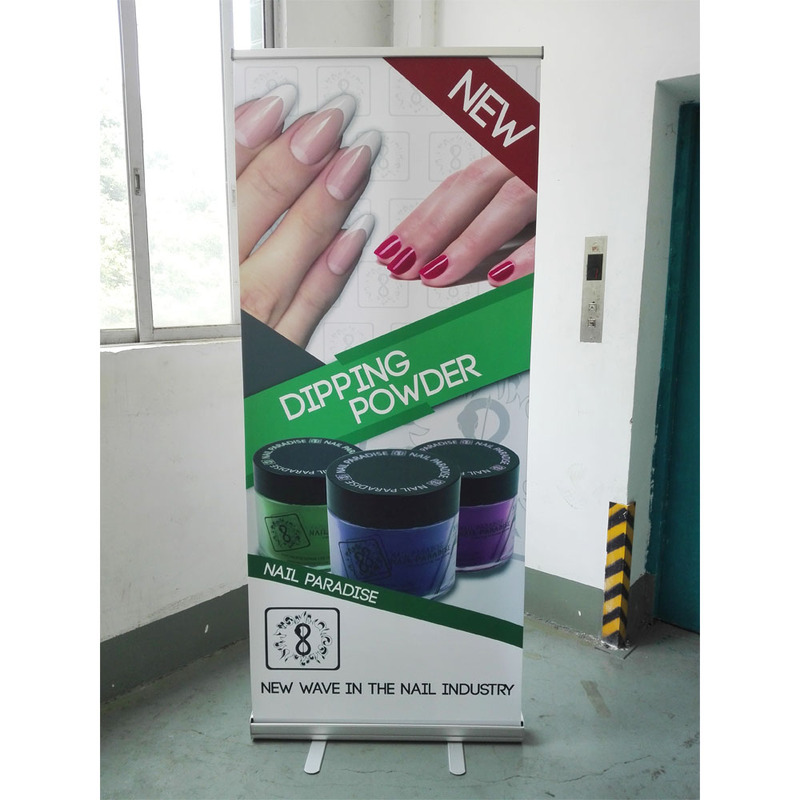 All the Aluminum Roll Up Banner are quality guaranteed. 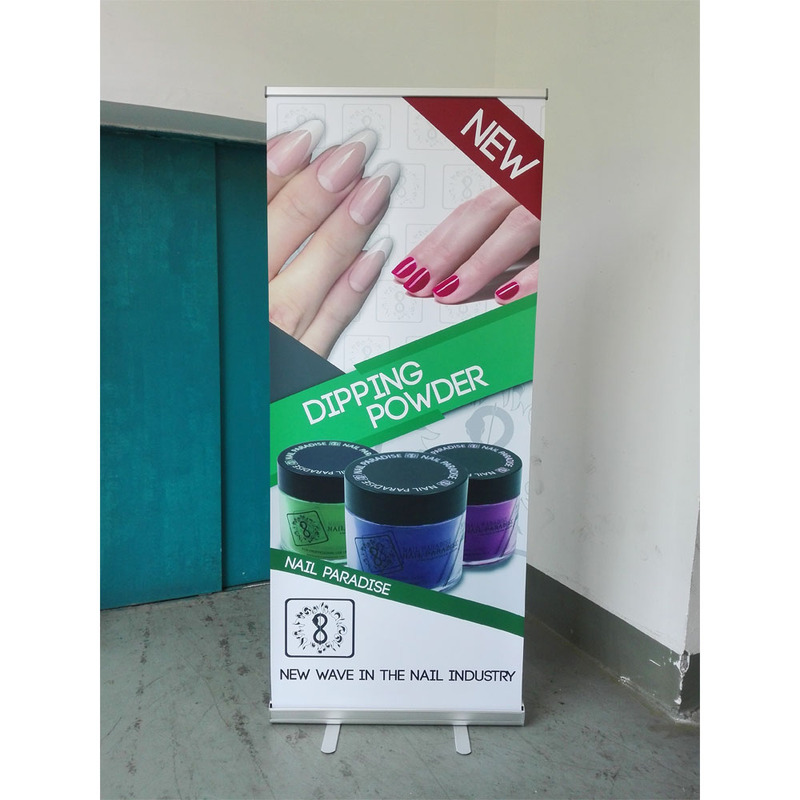 We are China Origin Factory of Advertising Roll Up Banner. If you have any question, please feel free to contact us.